Legend has it that long ago, when a poor miller fell in love with and wanted to marry the daughter of a wealthy man, the father refused to give his daughter any dowry at all. The couple married anyway, even though the miller had almost no possessions for a household. The townsfolk, who knew the miller to be a kind and generous person, came to the newlyweds’ home and “showered” them with the kinds of gifts a couple would need when first starting out in life. This is still the idea behind today’s showers – to help a couple begin their new life and household together. But there have been updates, too – digital invitations, new hosts, creative registries, and even co-ed showers. However, the heart of a shower, even more than the gifts, is to help the bride (or couple) celebrate the wedding to come with their closest friends and family. 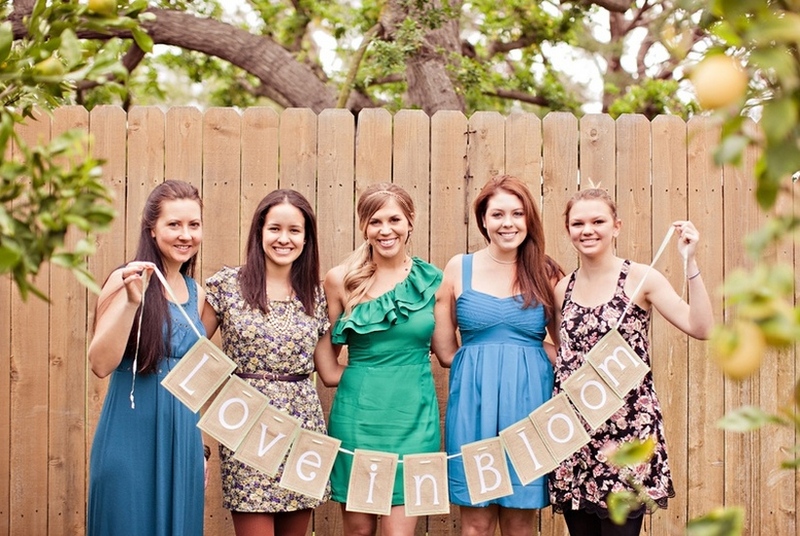 It’s a myth that bridesmaids must host a bridal shower, though it often makes the most sense for them to do so (and often they want to). And, in a big break with tradition, it is now acceptable for sisters, grandmothers, and even moms to host a bridal shower. However, if you don’t agree with this loosening of tradition, by all means have someone else host. The bride (or couple) is the only person who should not host a shower, as it never acceptable to host a gift-giving event for oneself. Jack and Jill (co-ed) showers are fine to hold – just be sure that the groom and his friends are truly interested in participating. In this case, the theme, décor, and any games should be comfortable for both men and women: Lingerie showers, for example, are clearly not a good fit. With so many couples today living established, independent lives before marriage, many don’t need traditional items. If gardening equipment for your first yard or wine for your nascent wine cellar is more in line with your lifestyle, by all means reflect that in your registry and shower theme. Some couples who truly don’t need anything forgo traditional gifts altogether, opting instead for each guest to share a recipe, piece of marital advice, or favorite photo or memory of the bride or couple in a collected album. Send invitations 3-4 weeks before the event. It’s fine to send paper or emailed invitations, or even to make phone calls. Registry information may be included, though it should be on an enclosure, not on the invitation itself. While it’s important information, this keeps the focus of the invitation on the invitee, and not her gift. Gift themes, such as cooking, gardening, or lingerie, can be mentioned on the invitation. For themes such as: hour-of-the-day, month-of-the-year, letter-of-the-alphabet, or room-of-the-house, the host should make those particular assignments on each guest’s invitation. For lingerie showers, give the bride’s sizes when a guest RSVPs. While it’s up to the host, it’s not necessary to play any shower games. If they’re on the menu, it’s best to keep it to one. As presents are opened, consider decorating a paper plate with all of the ribbons – many brides then fashion this into a mock-bouquet to use for practice at the wedding rehearsal. Put one of the guests in charge of this, and ask another to write down each gift and who gave it. This will help tremendously when it’s time to write thank-you notes. Even if you thank your guests in person for your presents, a handwritten note is still expected, and should be sent shortly after the shower. If you aren’t sure of your guests’ mailing addresses in this email age, the host can provide an address or guest book and ask each guest to fill theirs in, or ask your host for the addresses from her invitation list. Shower hosts, please avoid the unfortunate trend of asking guests to fill out an envelope with their name and address to be used by the bride to send guests their thank-you notes. This is a job for the bride, not her guests. Thanks are a personal expression of appreciation, one that should extend to every aspect of the note.